Prayer for Peace, 2010: "Living Together in a Time of Crisis"
Something unique will soon be happening in Barcelona, Spain – an event that has an important and needed word to say to our turbulent times. From October 3rd through the 5th, the annual Prayer for Peace gathering organized by the Community of Sant’Egidio will be occurring. The theme for this year’s Prayer is “Living Together in a Time of Crisis: Family of Peoples, Family of God” and it expresses very well what the Prayer for Peace is about. The Prayer for Peace brings together leaders of all the world’s religious traditions in a spirit of dialogue and respect consisting of discussion panels on a variety of topics, forums and a common pledge to work for peace. By so doing, the gathering witnesses to the world that it is precisely in the authentic practice of religion (and not its negation) where a unique and needed path toward peace and mutual understanding among peoples in our world can be found. True religious expression is a means for peace and not for conflict. 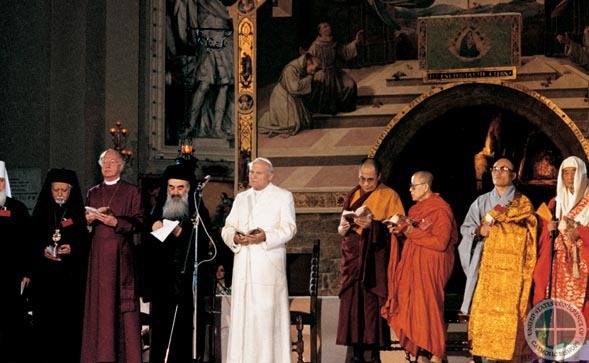 ﻿﻿﻿﻿It was John Paul II who was the first to gather the world’s religious leaders together to pray for peace at an unprecedented meeting in Assisi, Italy in 1986. The Holy Father had the intuition that prayer, respect and dialogue could unite differing peoples together in the quest for peace, justice and the common good. 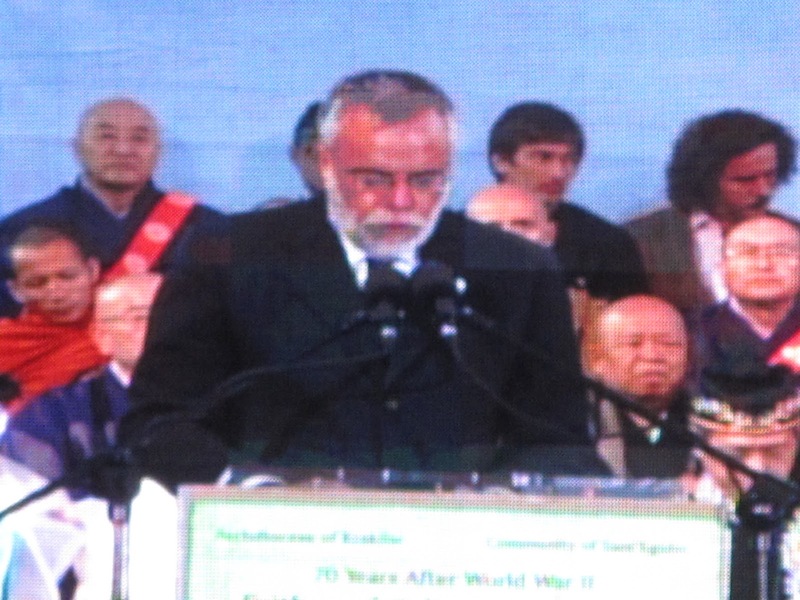 The small Community of Sant’Egidio was present at that first Prayer for Peace in 1986 – not in an organizing way – but as one witness among others to the event. But, the community did “catch” the intuition of John Paul II and following that first gathering began the task of organizing an annual Prayer for Peace. Often, following that first Prayer for Peace, John Paul II would encourage Andrea Riccardi (founder of the Community of Sant’Egidio) to keep the spirit of Assisi alive! In many ways the Prayer for Peace is an enfleshed expression of the Second Vatican Council document, Nostra Aetate (Declaration on the Relation of the Church to Non-Christian Religions). In this age of ours, when men are drawing more closely together and the bonds of friendship between different peoples are being strengthened, the Church examines with greater care the relation which she has to non-Christian religions. Ever aware of her duty to foster unity and charity among individuals, and even among nations, she reflects at the outset on what men have in common and what tends to promote fellowship among them. All men form but one community. This is so because all stem from the one stock which God created to people the entire earth (cf. Acts 17:26), and also because all share a common destiny, namely God. His providence, evident goodness, and saving designs extend to all men (cf. Wis. 8:1, Acts 14:17, Rom. 2:6-7, 1 Tim. 2:4) against the day when the elect are gathered together in the holy city which is illumined by the glory of God, and in whose splendor all peoples will walk. ﻿﻿ The Catholic Church rejects nothing of what is true and holy in these religions. She has a high regard for the manner of life and conduct, the precepts and doctrines which, although differing in many ways from her own teaching, nevertheless often reflect a ray of that truth which enlightens all men. Yet she proclaims and is in duty bound to proclaim without fail, Christ who is the way, the truth and the life (Jn. 1:6). In him, in whom God reconciled all things to himself (2 Cor. 5:18-19), men find the fullness of their religious life. The Church, therefore, urges her sons and daughters to enter with prudence and charity into discussions and collaboration with members of other religions. Let Christians, while witnessing to their own faith and way of life, acknowledge, preserve and encourage the spiritual and moral truths found among non-Christians, also their social life and culture. I will be attending the Prayer for Peace and it will be the fourth one that I have attended. Why do I take the time and the effort to go? ﻿ I go because the Prayer for Peace is a powerful witness to the reality of religion as a path to peace in answer to the loud and vocal contention by some who choose to view religious expression solely as a source of conflict and division in our world and its history; a sad legacy of the past that humanity would be better off to just jettison and finally get rid of. While witnessing to this; the Prayer also stands solidly in prophetic testimony against those who do use religion as a source of violence and conflict. Without exception, the Prayer for Peace affirms that any violence or oppression in the name of God is a sin against God and humanity! I go because I am a Christian and a follower of Jesus Christ and it is precisely in the living of my faith that I am brought to a profound respect for others. 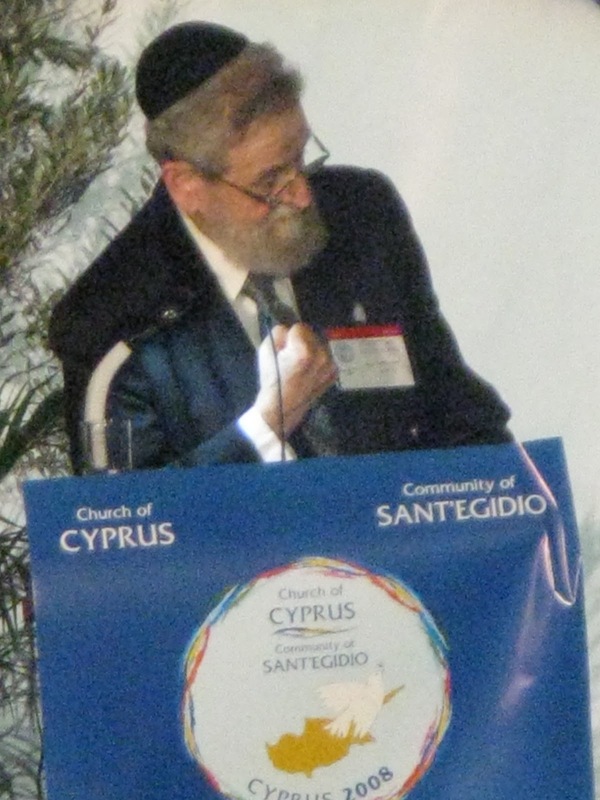 The Prayer for Peace is an expression not of a false ecumenism and interfaith dialogue (either avoiding acknowledgement of honest differences in an attempt to water down truth into a bland syncretism, until no one is really satisfied nor any viewpoint respected, or saying, “Yes, we can have dialogue but only on my terms.”) but of that true ecumenism and interfaith dialogue which has discovered that it is exactly in authentically living and entering into the heart of ones own faith and belief that we find paths toward others and also points of encounter and dialogue. ﻿I go because I do not accept the prevalent, impoverished and misguided anthropology and cynicism of our times that encourages people not to trust, not to believe in anything greater than themselves and ultimately, not to risk the vulnerability of love. I go because I believe we must all work to create and to secure a human space in our world – a space that allows for the true dignity and worth of every human person and therefore specifically necessitates a respect for the desire of belief. When we forget God; we lose ourselves, we lose peace and our world suffers. This sad dynamic has been witnessed time and time again throughout history. We just need to look to the century just concluded (one of the bloodiest) and the witness of the many millions of men and women who died under the oppression of so many totalitarian and fascist regimes that denied and criminalized the practice of faith. The Prayer for Peace runs from October 3-5, there will be videos of different moments in the gathering posted on the Community of Sant’Egidio’s website: (http://www.santegidio.org/). I encourage you to check it out and to join in this international witness of religion as a path to peace! On September 29th the Church celebrates the Feast of the Archangels (Michael, Gabriel and Raphael) and acknowledges that there is a spiritual side to existence and that there are pure spiritual beings in God’s creation. Recently there has certainly been an upsurge of interest regarding angels (which says something about our yearning for the spiritual) but it is of value to note what the Church, in its teaching role, has to say about angels. First, angels are creatures. Angels are not God nor are they independent of God. There was a time when angels did not exist. Angels were created by God and their existence demonstrates that there are two spheres of creation – one purely spiritual and the other physical and spiritual. Because angels are not God, they do not enjoy the powers nor wisdom of God. They are creatures like us. They cannot read the inner thoughts of men and women unless we somehow make known to them our needs and requests. Second, because angels are pure spirit they are genderless, neither male nor female. This is hard for us to get our minds around, being so conditioned by our own physicality. There is another component to this which has ramifications for us – humans do not become angels in the fullness of the Kingdom of God. We tend to say things like, “Now God has another angel in heaven.” when a loved one dies but this, in fact, is misleading. In the fullness of the Kingdom of God we are not changed and transformed into a different type of creature; in fact we profess the opposite in our belief in the resurrection of “body and soul” – we remain who we are, but glorified. When Christ appeared after his resurrection he did not appear as an angel but a glorified human (flesh and spirit). This is the same glory that awaits us. Angels, like us, have free will. This is witnessed in the rebellion of Lucifer and his angels. Angels have made the choice to either serve God and enter the beatific vision or to rebel and become evil. Another important point here – the devil is a creature (always a creature), God alone is the creator. Angels (since they are pure spirit, pure will) are known and identified by their function and divine commission. They carry out a task from God. The very names of the archangels demonstrate this. Michael means, “Who is like God?”. When Lucifer sought to make himself “God”, Michael stood in his way with the burning truth, “Who is like God?” Gabriel means, “God is my strength”. Raphael means, “God is my health.” These are the three archangels named and present in Scripture. In apocryphal Jewish literature there are five other archangels named; Uriel “God is my light”, Jophiel “The beauty of God”, Chamael “The angel of God’s wrath”, Zadkiel “The righteousness of God” and Jophkiel “The purity of God”. God could govern all creation by his own design but has choosen to employ angels as cooperators in his plans for creation and humanity. Angels assist us throughout life but in quiet ways without show. There are nine choirs of angels: (listed in ascending order) Angels, Archangels, Principalities, Powers, Virtues, Dominations, Thrones, Cherubim, and Seraphim. The Church teaches that every person (Christian and non-Christian) has a guardian angel, a friend to help us on our pilgrimage in this world. 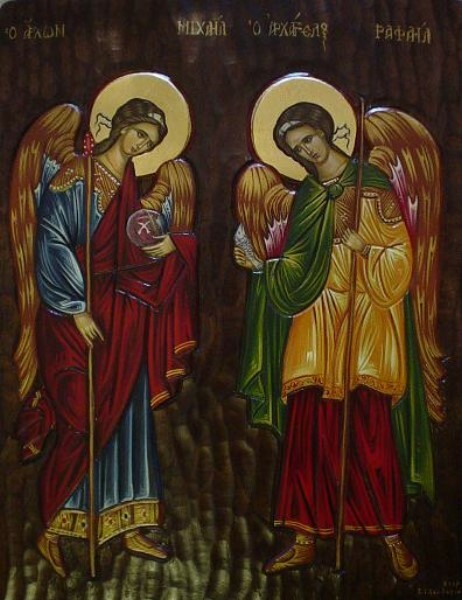 On October 2nd, the Church celebrates the Feast of the Guardian Angels. I once read that there was a pope who would give the members of the Vatican diplomatic corp a common bit of advice. He would tell them that in the course of their duties if they were going to meet with an official opposed to the mission of the Church that, the night before the meeting, the diplomat should say a prayer asking his guardian angel to speak to the official’s guardian angel in order to help in opening the official’s heart to the work and need of the Church. I think it is good advise! There is nothing wrong in using all contacts! Angels walk with us and together we give glory to God! There is a double humility called for in the life of discipleship. This “double humility” finds expression in today’s gospel reading: Luke 9:18-22. Once when Jesus was praying in solitude, and the disciples were with him, he asked them, “Who do the crowds say that I am?” They said in reply, “John the Baptist; others, Elijah; still others, ‘One of the ancient prophets has arisen.’ Then he said to them, “But who do you say that I am?” Peter said in reply, “The Christ of God.” He rebuked them and directed them not to tell this to anyone. The double humility is first; acknowledging Christ as Messiah, as Lord of ones life and second; allowing Christ to be God for us according to his terms and not our own. This second humility is more difficult for us than the first but it must be entered into and accepted because it is the true path of discipleship. Newman’s “one step enough for me” expresses the beauty of this double humility. One step is enough. We do not have to see the distant scene. The Kingdom of God is coming; we just have to do our part and we have to trust – God will see it through. Discernment, along with all of discipleship, is also a matter of trusting and the willingness to take one step, the next step. We do not have to have it all figured out (in fact we never will); we do not have to see the distant scene, we just need to take the next step – God will see us through. I call it “not telling the story by telling a story”. It continues to amaze me how so many (it seems) in the secular media approach and “cover” Church events – especially Papal visits. They just don’t get it and I am more and more convinced that often they just do not want to get it … probably because the real story challenges both the “powers that be” and ingrained perceptions. Sidestep journalism and commentary at its finest. So … my advice to those who really want to learn about events in the Church and the message of the Church to our world today: evaluate your sources. Don’t take reports at face value; do the work needed. You will be better off for it. Here is a little thought experiment. View the video below. Is it the whole story about the recent papal visit? No. Were there other aspects? Yes. Were there protests? Yes. Are there issues that need to be addressed – and are being addressed – in the life of the Church? Yes, certainly. But view the video below critically – what is happening, what is being said, how many people are there, notice their actions and reactions. 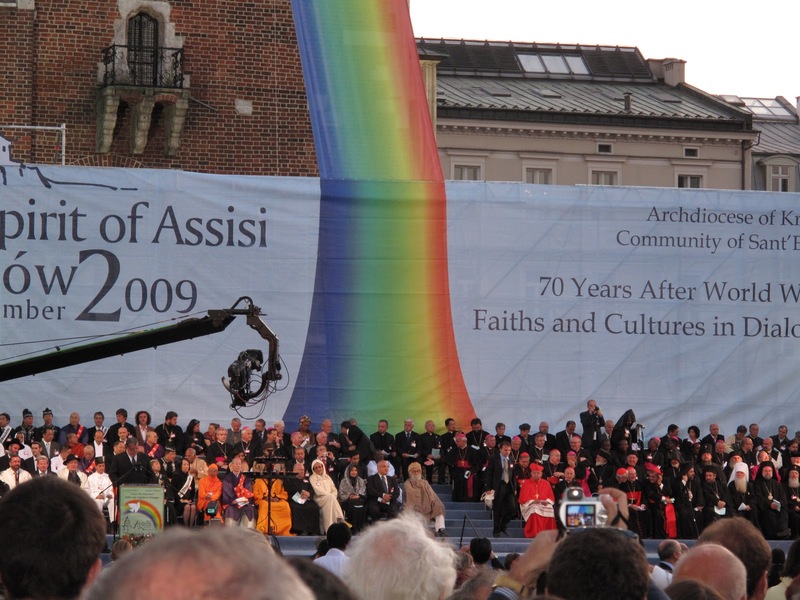 Now, consider how generally the papal visit has been covered (if at all) in the media – both print and video. Would you say that what is seen and heard in this clip found expression in the general media coverage? Or does there seem to be a disconnect? And if there is a disconnect, why? 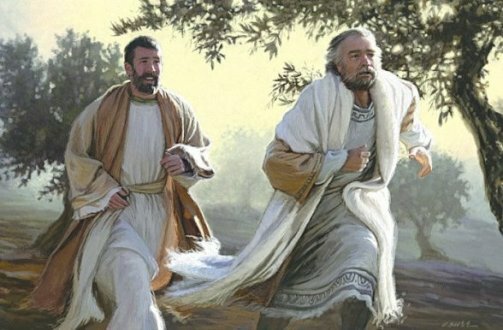 In today’s Gospel (Luke 16:1-13) our Lord presents us with the image of dishonest steward as a means to learn some truths about discipleship in relation to the Kingdom of God. It seems a contradiction. Here is a man who has squandered his master’s resources, who has neglected his duties and then when he learns that things have caught up with him and he is about to be thrown out on his ear, again stiffs his master by conspiring with his master’s debtors to “cook the books”. What can such a character have to teach about the Kingdom of God? Two things, I believe. There are two attitudes that seem to guide the steward’s life that have a direct correlation to discipleship. We may all disdain (and rightly so) the steward for his dishonesty and conniving manner but we must agree that the steward both looked to the future and did not resign himself to the past. He looked to the future. The steward knew what was coming, he saw the writing on the wall. He knew he was about to be tossed out. But he did not get lost in that, rather he looked ahead to other possibilities and he made present-day choices in light of those possibilities. The possibilities of the future informed his life today. Here is the point for discipleship. As disciples the fullness of the Kingdom of God awaits us. This is our promise, it is our hope and our goal. But do we live our present day life as if it were? Do we let the reality of the Kingdom shape who we are and what we do today? As disciples, the answer needs to be an unequivocal “yes”; always a “yes”. The reality of the Kingdom should inform every aspect of our lives as disciples. The reality of the Kingdom should be the primary influence on how we approach and live every day. The disciple looks to the future and lives out of that reality. The steward did not resign himself to the past. He knew that what he had done was wrong and yet (and the Gospel is not endorsing an unrepentant attitude here) he did not let that hold him back. He was not resigned. Neither must the disciple be in the light of grace. We know our past – we know the mistakes we have made, the bad choices and the out and out sins we have committed – but in Christ and the honesty of reconciliation and forgiveness those things are gone, they are past. We do not resign ourselves to the past because in Christ those debts have been cancelled. Two fundamental attitudes to discipleship: looking to the future and not resigning ourselves to the past. In many ways these attitudes (when properly lived) influence and balance one another out. And when lived in a correct balance and tension they lead us to a proper “measure of the moment”. (This is a phrase I recently heard spoken by a friend and it has resonated with me … I do not know if it was his or he, himself, gained it from another, either way it is good.) The “measure of the moment” both develops within us and leads us to a nuanced understanding critical in determining what am I to do at this moment, in this situation as a disciple of Christ … and it can change from moment to moment. Maybe today I am meant to give assistance to one in need, maybe tomorrow I am asked to just live in gratitude for God’s blessings. The measure of the moment is found in living in the creative balance of discipleship – both looking to the future and the full promise of the Kingdom of God and not resigning ourselves to the past. 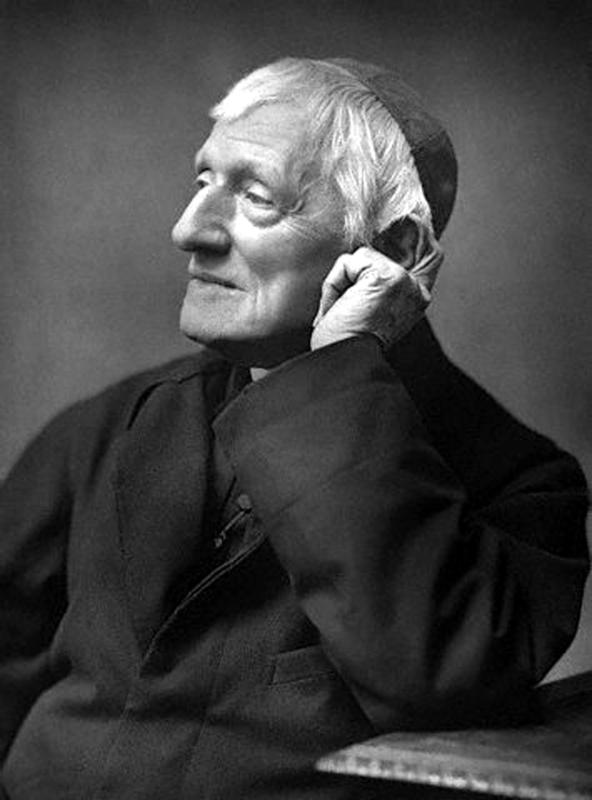 Tomorrow Pope Benedict XVI will beatify John Henry Cardinal Newman. The Holy Father’s pastoral visit to England has been a powerful pilgrimage of beauty, faith and hope! Below is a clip of one of the addresses of the Holy Father to those gathered to support his visit and welcome him. Below this clip is a rendition of “Lead Kindly Light” – the beautiful poem written by Cardinal Newman. In many ways the Holy Father – during these days of pilgrimage – is a witness to all the world of the beauty and truth of Newman’s poem. The beauty of this poem speaks to the fullest yearning of the human heart; a yearning that has been met and answered in Jesus Christ! The evidence of self-denial: "a comfortable hope"
I believe that Newman’s words in this regard are a needed witness to all Christians in our day and time. We are too comfortable with the status quo. We are only too happy to remain half asleep. We like our Jesus in measured doses … but when we “measure” Jesus out to our liking we stunt ourselves. This is the problem. We never reach the true maturity we are meant for. We are happy to remain on the comfortable plateau of our “Jesus moments” while ignoring the path of self-denial that leads beyond the plateau … but ultimately up the mountain to a greater maturity. “Wake up!” says Newman or (my words), “Get some backbone in your faith!” It is only when we pick up the cross and learn the discipline of self-denial that we gain ourselves, that we grow to a true maturity in faith and discipleship, “…the one who loses his life for my sake will find it.”. The circumstances of these times render it very difficult to answer this question. When the world was against Christianity it was comparitively easy. But (in one sense) the world is now for it … Thus, whether in private families, or in the world, in all ranks of middle life, men lie under a considerable danger at this day, a more than ordinary danger, of self-deception, of being asleep while they think themselves awake. How then shall we try ourselves? Can any tests be named which will bring certainty to our minds on the subject? No indisputable tests can be given. We cannot know for certain. We must beware of an impatience about knowing what our real state is. St. Paul himself did not know till the last days of his life (as far as we know), that he was one of God’s elect who shall never perish. He said, “I know nothing by myself yet am I not hereby justified;” i.e. though I am not conscious to myself of neglect of duty, yet am I not therefore confident of my acceptance? 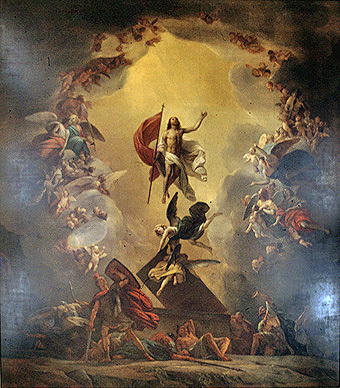 Judge nothing before the time… And yet though this absolute certaintly of our election unto glory be unattainable, and the desire to obtain it an impatience which ill befits sinners, nevertheless a comfortable hope, a sober and subdued belief that God has pardoned and justified us for Christ’s sake (blessed be His name! ), is attainable, according to St. John’s words, “If our heart condemn us not, then have we confidence toward God.” And the question is, how are we to attain to this, under the circumstances in which we are placed? In what does it consist? …since the nature of Christian obedience is the same in every age, it still brings with it, as it did then, an evidence of God’s favour. We cannot indeed make ourselves as sure as our being in the number of God’s true servants as the early Christians were, yet we may possess our degree of certainty, and by the same kind of evidence, the evidence of self-denial. This was the great evidence which the first disciples gave, and which we can give still … yet at least we learn thus much from them (early Christians), that a rigorous self-denial is a chief duty, nay, that it may be considered the test whether we are Christ’s disciples, whether we are living in a mere dream, which we mistake for Christian faith and obedience, or are really and truly awake, alive, living in the day, on our road heavenwards. From my perspective, Pastor Jones – by planning to burn the Qur’an and using the Bible as a weapon – is getting it wrong on both fronts. I pray for Pastor Jones and his church of fifty people. I pray that their lives will be led more by the transforming love of Christ than by fear. VATICAN CITY, SEPT. 8, 2010 (Zenit.org).- The Pontifical Council for Interreligious Dialogue is protesting the “outrageous and grave” proposal of a man to hold a “Qur’an Burning Day” on Saturday. Terry Jones, pastor of the Dove World Outreach Center in Gainesville, Florida, said that he wants to publicly burn a Qur’an, the holy book of Islam, on Saturday’s anniversary of the 2001 terrorist attacks by Muslim fundamentalists. “Each religion, with its respective sacred books, places of worship and symbols, has the right to respect and protection,” it stated. 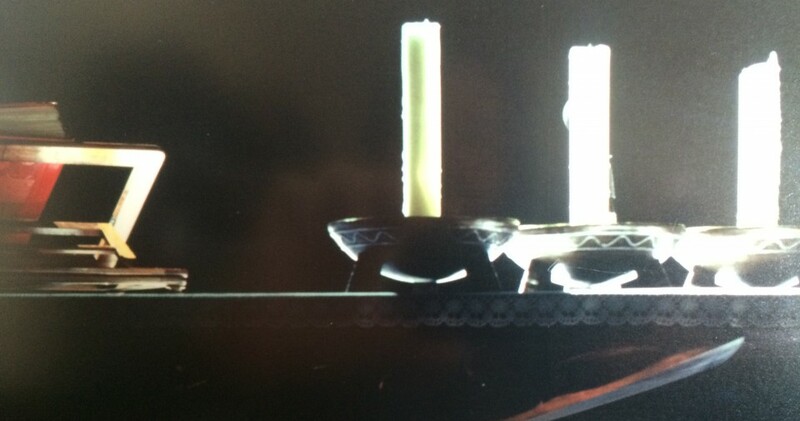 “To this feeling of solidarity we join our prayers for them and their loved ones who lost their lives,” it added. Catholic leaders worldwide are joining with U.S. officials to protest Jones’ initiative, calling for interreligious respect and expressing concern that Christian minority communities and Americans abroad will be unjustly attacked in recompense. He underlined the need for an authentic Christian attitude of reaching out to Muslims in love. Today the Church celebrates the feast of the Birth of Mary and here, in the Diocese of Knoxville, we celebrate the anniversary of the establishment of our diocese! 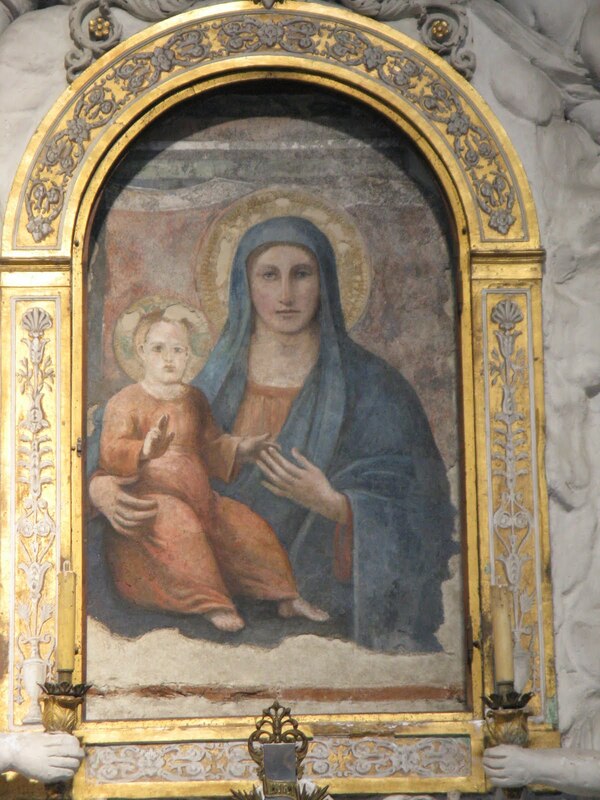 We know that this feast dates back at least to the early 700’s as at that time Pope Sergius established that four separate feasts honoring Mary should be kept in Rome with one of these being the birth of Mary. This feast of the Birth of Mary is important because in the birth of Mary we see that the promise of God to bring salvation to all peoples and to heal the effects of sin has begun. Mary is the morning star announcing the rising of the Sun! 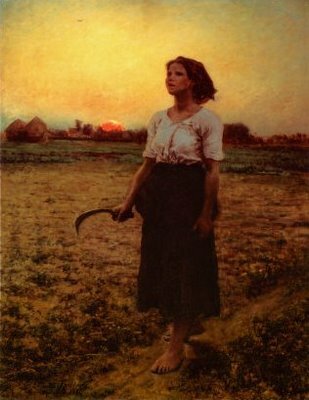 The morning star, it must be noted, shines not with its own glory but rather, it reflects the coming glory of the Sun upon all the earth. Mary shines with and reflects the very light of Christ and his resurrection and triumph! beside the Cross of Christ, our Saviour. Justly then do we celebrate this mystery since it signifies for us a double grace. We are led toward the truth, and we are led away from our condition of slavery to the letter of the law. How can this be? Darkness yields before the coming of light; and grace exchanges legalism for freedom. But midway between the two stands today’s mystery, at the frontier where types and symbols give way to reality, and the old is replaced by the new. Therefore, let all creation sing and dance and unite to make worthy contribution to the celebration of this day. Let there be one common festival for saints in heaven and men on earth. Let everything, mundane things and those above, join in festive celebration. Today this created world is raised to the dignity of a holy place for him who made all things. The creature is newly prepared to be a divine dwelling place for the Creator. Below is a quote by Roger Scruton in his Introduction to “Leisure, The Basis of Culture” by Josef Pieper. “Don’t just do something: stand there!” The command of an American President to a fussy official was one of those rare moments in American politics when truth prevailed over industry. Josef Pieper’s serene reflections on the art of being serene ought to be read by every practical person – and the more that person is involved in business, politics, the public life, the more useful will Pieper be to him. For here, in a succinct yet learned argument, are all the reasons for thinking that the frenzied need to work, to plan, and to change things is nothing but idleness under other names – moral, intellectual, and emotional idleness. In order to defend itself from self-knowledge, this agitated idleness is busy smashing all the mirrors in the house. Leisure has had a bad press. For the puritan it is the source of vice; for the egalitarian a sign of privilege. The Marxist regards leisure as the unjust surplus, enjoyed by the few at the expense of the many. Nobody in a democracy is at ease with leisure, and almost every person, however little use he may have for his time, will say that he works hard for a living – curious expression, when the real thing to work for is dying. The calumnies, however, do not apply: so argues Josef Pieper. We mistake leisure for idleness, and work for creativity. Of course, work may be creative. But only when informed by leisure. Work is the means of life; leisure the end. Without the end, work is meaningless – a means to a means to a means … and so on forever, like Wall Street or Capitol Hill. Leisure is not the cessation of work, but work of another kind, work restored to its human meaning, as a celebration and a festival.